Superior quality peanuts are first slow roasted then pressed to remove 85% of the fat and oil. 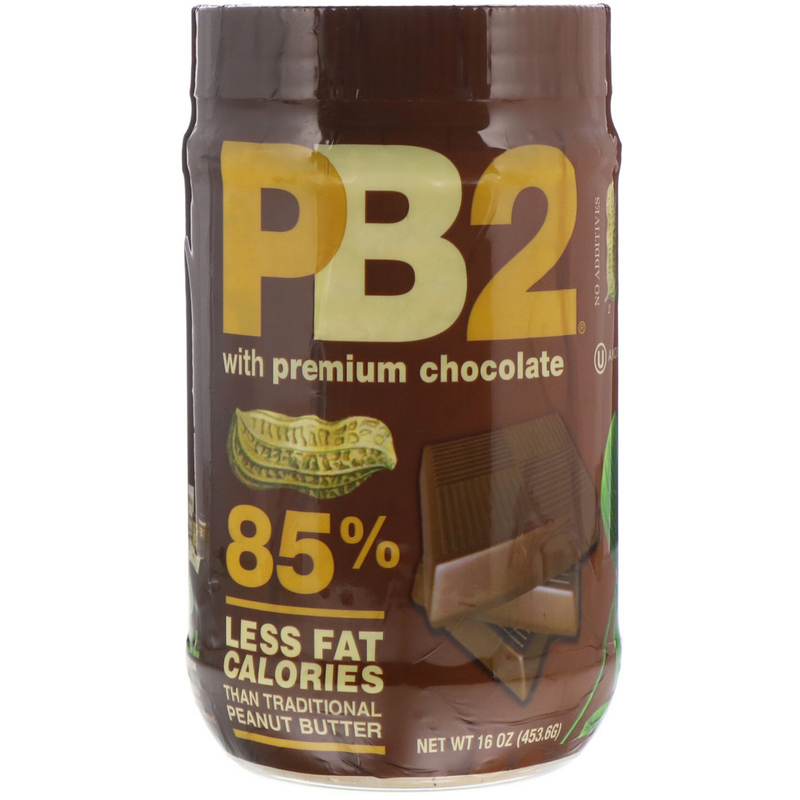 We then blend the finest cocoa beans for a natural roasted peanut butter and chocolate flavor that's rich in taste, easy to enjoy and wonderfully healthy. 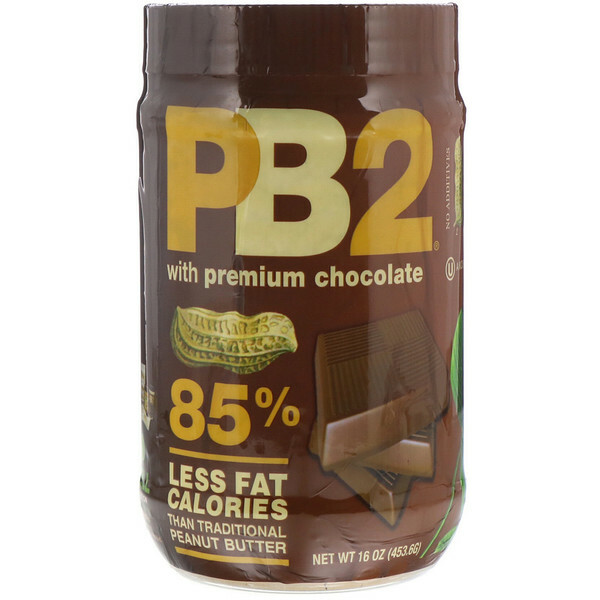 Mix 2 tbsp of Chocolate PB2 with 1 tbsp of water and stir until smooth. Prepare as needed. Created especially for you and made with roasted peanuts, cocoa powder, sugar and salt. 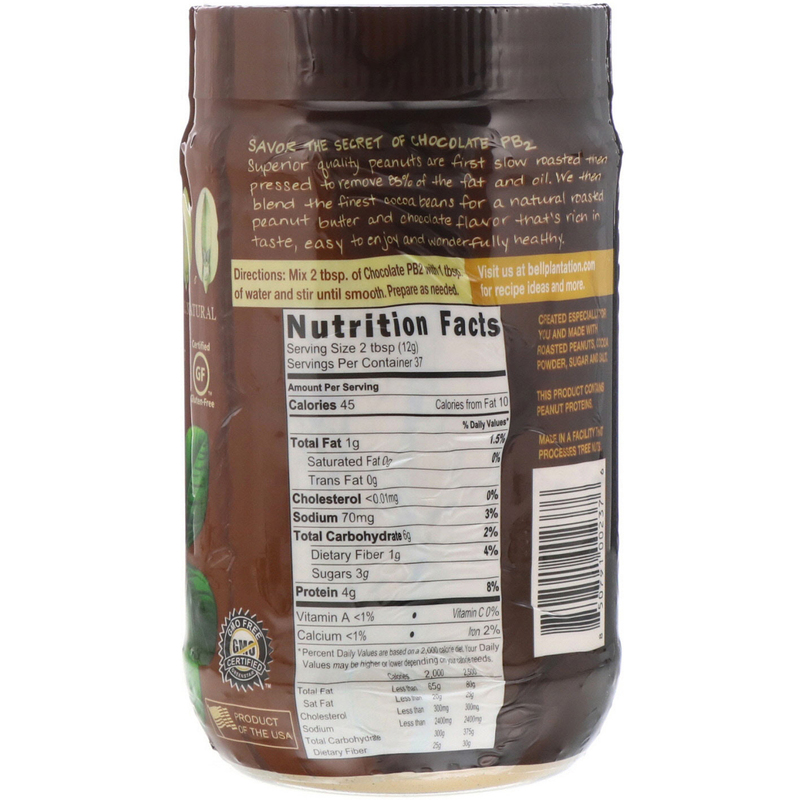 This product contains peanut proteins.